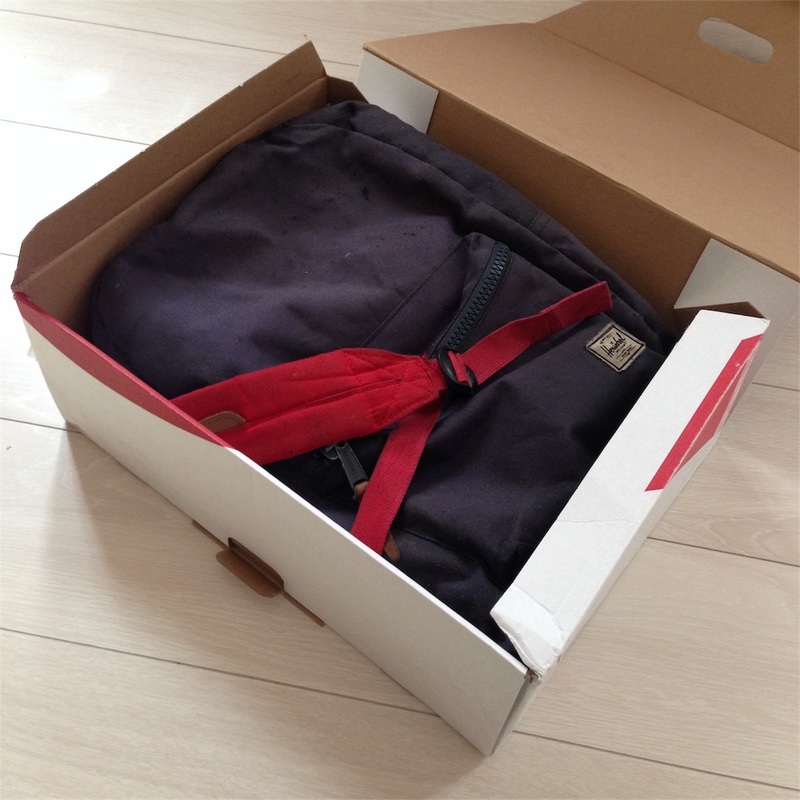 Gilles' backpack returned to Tokyo, Japan. The last time when I saw it was at my sister-in-law's place in Belgium. I thought up of bringing it to the theater on the very first day of the screening in Japan, and I had her to send it by post. It is quite fragile now and was sent in a box like this one. When I wrote about this backpack in this blog last August, I had lots of feedbacks, and the journalists often ask me about its existence. Tne box is a typical one sold at Belgian postoffices. It flew 12 hours from there to here. I felt as if I was watching a coffin. This is the memento. It was blown by a bomb with him, and had a computer, a map of Fukushima, memos and so on. It had looked like one of the objects displayed in the museum of Hiroshima at that time already, and now the impression is stronger. The color navy is faded more, and the broken top part was bigger than my memory. Also, I found some egg-shaped chocolates from Easter, and one acorn which I guess he picked up with kids. One acorn from Suginami-ku, Tokyo, bearing a peaceful memory of one day, can be blown in fire by a handmade bomb by a terrorist who was manipulated by a group based somewhere in Middle-East. The fact tells us that the earth is one. We live in one glove without border. Yet I would like to say that his memory will never disappear, it will be shared with me and kids, although his body disappeared from this world. They were never able to destroy human affection with any measure. The solidarity of people keep becoming even stronger. I could just say 'Welcome back' calmly to this backpack, with my warm eyelids. I am going to bring this to the theater on 11th of March, the very first day of screening in Tokyo, and also on 22th or March, which is his first death anniversary. I would like to say 'Welcome back' truly to Gilles next time, who comes back to life after changing his existence to the film on that day. 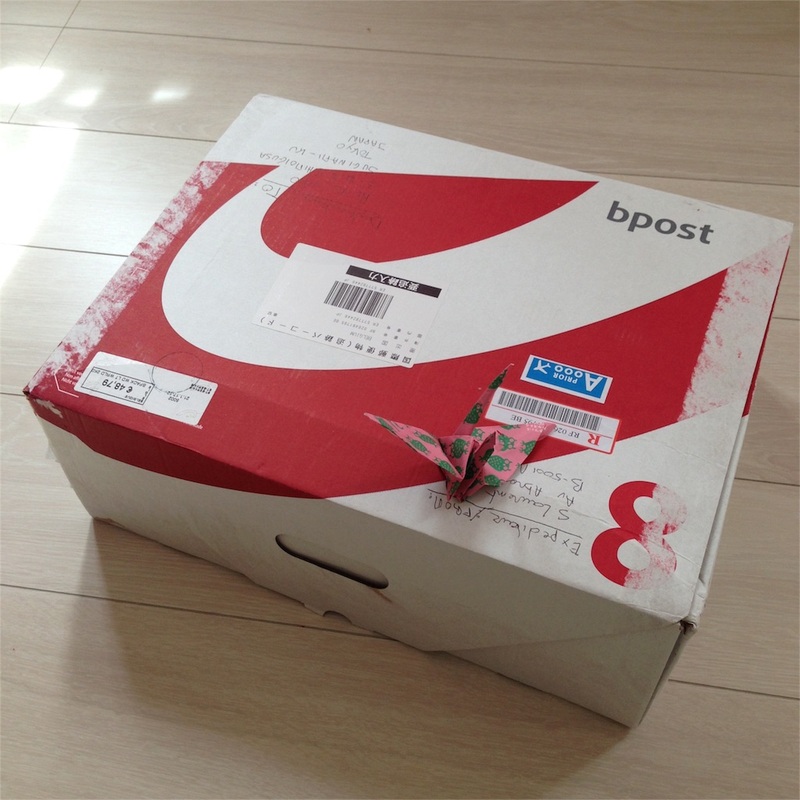 By the way the origami crane on the box is made by my elder daughter. She was making this 'symbole of peach' just by coincidence when I was trying to take this photo. 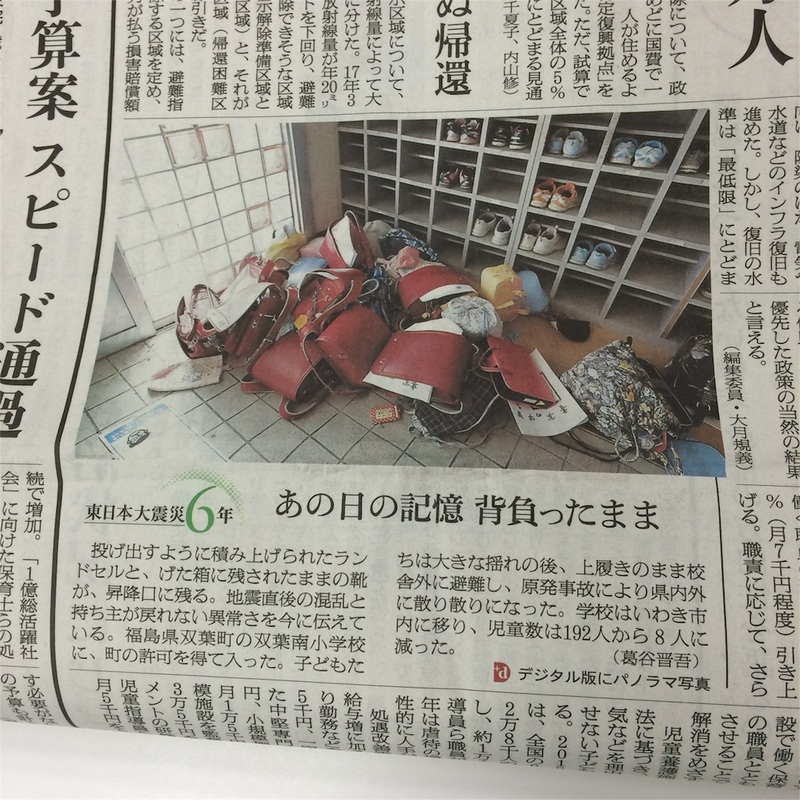 I saw this article on Asahi Newspaper the other day telling that the backpacks of pupils are left as they are since six years ago in Futaba town in Fukushima, after having had to evacuate after the explosion of Fukushima Plant. The good thing is that the kids who had these should be alive somewhere still now. 映画に「おかえり」と言った。I said 'welcome back' to the film.